Even a 1st offense DWI can be “enhanced” to a higher level criminal offense depending on the circumstances. If a minor is in the vehicle at the time of the DWI, the charge can be elevated to a Class A misdemeanor. If someone is injured as a result of a car crash related to the DWI, the charge can be elevated as high as a Class B Felony depending on the circumstances. Any first or second offense DWI can be charged as a municipal infraction and prosecuted in the municipal court system. Municipal courts typically meet in the evenings, and are commonly located within City Hall, or are connected to the Police Department of a given Municipality. DWI offenses can all be prosecuted within the Circuit Court system in Missouri. Circuit Courts are located within each county of the state. Prosecutors in Circuit Court can prosecute all crimes including misdemeanor DWI and all Felony DWI cases. Are there prior offenses, or other considerations that would enhance the charge to a felony? Was the arresting officer a municipal officer or a trooper of the Missouri State Highway Patrol? Municipal arrests often lead to municipal charges, State Trooper arrests are prosecuted in the Circuit Court of the county of the arrest. 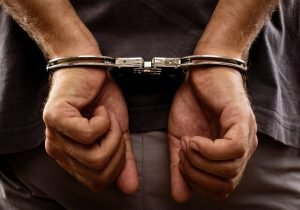 How does a Lawyer fight a DWI Charge? A DWI is a very serious criminal charge, even on the first offense. The criminal consequences of even a Misdemeanor DWI conviction can cause people to lose their jobs, professional licenses, and can result in time in jail or prison. The job of a DWI lawyer is to uncover and examine all of the available evidence in the case. This will consist, at the bare minimum, of a police report. Many police vehicles are equipped with video recording equipment and most police stations have booking and BAC room recording equipment. It is the DWI lawyer’s job to locate, preserve, and gather all video evidence. A dedicated DWI lawyer must critically analyze the evidence for mistakes in the DWI investigation. By doing so, the lawyer can uncover errors that could lead to inadmissibility of breath or blood tests that prosecutors depend highly on in DWI prosecution. By carefully and thoroughly examining all evidence with a trained eye, a DWI defense lawyer will find the facts that put the defendant in the best possible light, while magnifying all mistakes and errors made by the police during the stop, investigation, arrest, and blood or breath testing. DWI lawyers often times are able to negotiate with prosecutors by explaining problems in the case to the prosecutor prior to going to trial. By negotiating effectively with prosecutors, often times a skilled DWI attorney can achieve a great result in a case without ever having to put their client through the stressful risks of a criminal trial. Sometimes negotiations fail for a multitude of reasons. Because of that, a skilled DWI lawyer must also be effective in attacking the case in a trial when the interests of justice demand.